Openings are frustrating. At least for me. So much is riding on them. Often, if you don’t catch your reader’s interest with the first sentence their eye will wander. It seems to me there are 6 general kinds of openings. I’m sure you could make a case for their being 5 or 7 or some other number, but I’m going to hold firm—for now at least—with 6. That is the first line of, that’s right, “The Hobbit” by J.R.R. Tolkien. This sentence is about where and who, there isn’t even a trace, a smidgeon, of conflict. That’s the first line from William Gibson’s “Neuromancer.” Again, no visible conflict. You likely recognize that sentence, it’s the first sentence from Edward George Bulwer-Lytton’s novel “Paul Clifford.” This sentence is famous, or infamous, for being the epidomy of what one does not want to do when it comes to descriptive openings. I think the sentence begins all right (but then and again I’m a fan of dark and story nights) but then it meanders somewhat drunkenly toward the whimsically unconnected. So, having seen the good and the bad, why might we want to open with description? Two reasons. A. The setting, the world, is why we’re interested in the story. 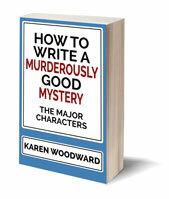 As Orson Scott Card mentions in his book “Characters & Viewpoint,” some stories are primarily about a milieu while others are primarily about characters, ideas or events. In Milieu stories we’re interested in the world at least as much—perhaps more—than we are the characters. Or, rather, the world is a character and it’s the one we’re the most interested in. What we’re really interested in is the cultures of that world, the alien biologies, the customs, the inventions, the magic, and so on. I’ve already mentioned the first line of “The Hobbit” (“In a hole in the ground there lived a hobbit.”) That’s information about the world, and it’s interesting information. My response as a child was, “What! Hobbits live in holes in the ground?! How cool is that. And what on earth is a hobbit?” Right from the beginning I was eager to learn about this universe. Here’s another way of creeping up on the point I’ve been trying to make: If exploring the world is the whole point of the story, then it’s perfectly appropriate to alert people to this from the first sentence. I don’t know if I’d go so far as to say that Gibson’s “Neuromancer” was a milieu story—I think it might be more of an idea story—but whatever the case (punny, punny)—the world that Gibson created was certainly creative and different and utterly captivating. B. To establish a particular mood. An example: The beginning of Gillian Flynn’s “Gone Girl.” I wrote about this recently (On Breaking The Rules) because it breaks one of the canards of writing: Don’t begin a story with a character waking up. But Flynn does! And—as millions of satisfied readers will attest—it works beautifully. That’s it for today! As I mentioned, this post is part of a planned series. Future posts will cover other sorts of openings. 2. Conflict: What Is It Good For? 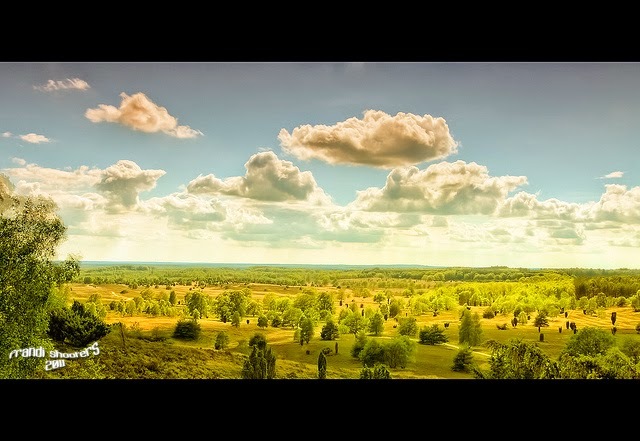 Photo credit: "aussicht vom wilseder berg (169,2m)" by fRedi under Creative Commons Attribution 2.0. I hadn't gutted a vampire in the lunchroom or tripped a teacher on the stairs. I should be on my way to PT, not gimping to the principal's office. Not that I love physical therapy, but I'd take that over any attention. I've had enough attention. What in the world could he want? Hi again Mac, sorry for the late reply, your comment was caught in electronic purgatory. Evocative first sentence, it carries an emotional punch and generates suspense. Robert Qualkinbush studied lots and lots of short story openings and reported on them in his book *How to Improve Your Speculative Fiction Openings*. He looked at stories published in the pro genre mags and at stories (mostly by not-yet-published writers) that were posted on the huge *Critters* online workshop. 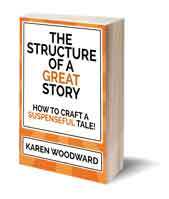 He found that while the descriptive opening was used in the great majority of the workshop stories, it was used only occasionally in the stories in the pro magazines. Love Critters! Great group. I'll have to look that book up. What Makes A Story Terrifying? NaNoWriMo Is For Everyone, Even Rebels!